Other Ingredients Organic tapioca syrup, organic evaporated cane juice, porcine gelatin, fish oil (from anchovies and sardines), citric acid, lactic acid, natural flavor, natural color (from black carrot juice), organic sunflower oil, carnauba wax. Sour Coating: Organic sucrose crystals, fumaric acid. Organic tapioca syrup, organic evaporated cane juice, fish oil (form anchovies and sardines), porcine gelatin, pectin, citric acid, natural flavor, natural color (from annatto), sodium citrate. For 2 years and over, 1 fish daily with food, or as directed by your health care professional or pharmacist. Please ensure child chews each fish thoroughly. Purified deep sea fish oil (from anchovies and sardines), xylitol, purified water, sorbitol, gelatin, natural tutti frutti flavor, citric acid, trisodium citrate, paprika extract, trace amounts of canola oil. One fishie daily, or as directed by your child's health care professional. Chew and enjoy! 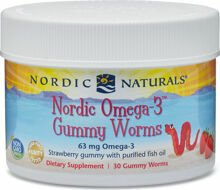 Easy to open Nordic Omega-3 fishies come in easy-to-open packs. Simply separate one serving. Push down on top. Push the fishie through the protective foil. Enjoy! 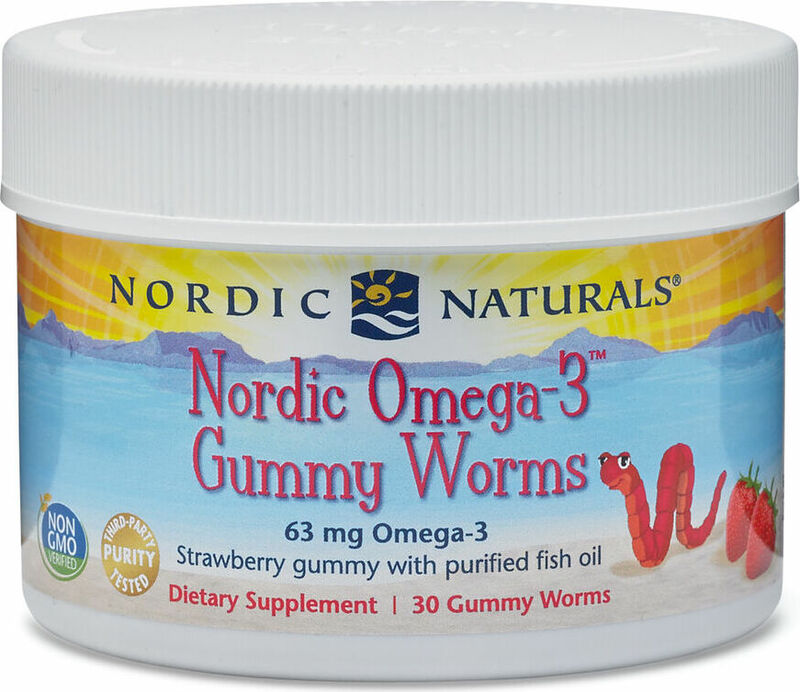 Purified deep sea fish oil (from anchovies and sardines), xylitol, purified water, sorbitol, gelatin, natural tutti frutti flavor, citric acid, trisodium citrate, paprika extract (for natural color), trace amounts of canola oil. One jellie daily, or as directed by your child's health care professional. Chew and enjoy! In the land of the Nordic Trolls, Viking Trolls are the most courageous in the kingdom. Every Day at noontide they sail their Viking ship on the rough Norwegian fjord waters in order to gather Nordic Omega-3 Fishies. These easy-to-chew treats provide omega-3 fish oil with a delicious tangerine taste for even the pickiest palates. Other Ingredients: Organic tapioca syrup, organic evaporated cane juice, fish oil (form anchovies and sardines), porcine gelatin, pectin, citric acid, natural flavor, natural color (from annatto), sodium citrate.